Everyone wants to know what the buzz is all about with these super exclusive Boiler Room shows, and how they can get an invite. Well Los Angeles, here’s your chance to attend the next Boiler Room. Sponsored by SKYY Vodka, the next L.A. Boiler Room show is popping off this Monday, July 7 from 6-9 p.m. at a super secret location. This past June’s L.A. Boiler Room show was at a swanky house in Glendale and we can only imagine what the team has cooked up for July. The evening’s line-up will feature performances by LOW LIMIT, HEJ FUND and GRENIER, and some very delicious (and FREE) craft cocktails from SKYY Vodka. To help our readers get a chance into the show, we’re giving away a pair of guest list spots and an awesome pair of SKYY branded bluetooth speakers. You must be 21-and-over to enter the contest. MUST BE 21 AND OVER! ID’S WILL BE CHECKED! 2. Next, leave a comment on this post letting us know why you want to attend the Skyy Boiler Room event and why we should hook you up with all this goodness! Be sure to leave your valid email address when leaving a comment so we can notify you of your win. Email addresses are kept private and are not seen by the public. We will select winners on Sunday, July 6! Winners will need to reply to our email by 10 a.m. Monday, July 7 to confirm their win. FACEBOOK: Just leave a comment on our wall letting us know you want to win a pair of tickets to the Skyy Vodka Boiler Room event on July 7. If you don’t win this contest or find your own way into the event, you can always wash away those tears while watching SKYY’s live stream. 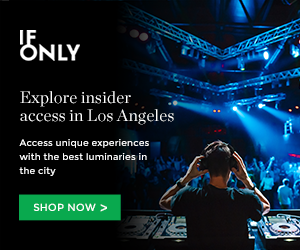 This entry was posted in Concerts & Events, Products and tagged boiler room, los angeles, music, Shows, skyy, vip on July 2, 2014 by Sandra Burciaga Olinger. I would LOVE to gain entry, listen to majestic sounds, and enter bliss. Don’t take this opportunity away from me. 🙁 You know what they say, “Music soothes the soul…” and I am in dire need of a healing! One of the main reasons as to why I just moved to L.A was to go to Boiler Room. Im a polymathic artist from Chicago. I’ve been to just about every dope underground spot in my city except for Boiler Room. Help a starving artist out! PLEASE PICK ME! I’ve never been to any music events before. My life is pretty boring now. I wish something exciting will happen. Me and my girlfriend stay home and watch game of thrones. Please pick me. We like to drink and get turnt too. I would love to win this! Free booze + sick music + new speakers to use on summer outings! Not to mention it’s impossible to get into and I have found so much amazing music thanks to their lineups. I would love to win this because of the fact that so many great DJs have played such amazing and trend setting sets throughout the world with boiler room. It is a name that is synonymous with DJing and would be truly an honor to witness one live. Plus I’d love some new speakers!! Thanks Grimy goods!! Pick me! I want to know how it feels to be a Grimy Goods and attend exclusive events. Plus, SKYY is my favorite wodka! Yes please and thank you. Because I’ve been trying to wiggle my way into this cool event for a few months now! Help a sister Grimy Goods! I would love to win this prize because I have never experienced the Boiler Room but I have seen numerous performances from the Boiler room on YouTube including Kaytranada, Jazzy Jeff and Daedelus. Winning this prize along with the speakers would be amazing! Hope I win!